A lawsuit brought against the Democratic National Committee, and its former chair Debbie Wasserman Schultz, by Bernie Sanders donors has revealed the DNC believes its own rules of impartiality don’t apply, and they can pick whatever candidate they wish. “We could have voluntarily decided that, ‘Look, we’re gonna go into back rooms like they used to and smoke cigars and pick the candidate that way,” DNC’s lawyer Bruce Spiva told a Florida court. The class-action suit was filed in June 2016, and accuses the DNC and its former chair Debbie Wasserman Schultz of seven different violations, including fraud, negligent misrepresentation, unjust enrichment and negligence. The suit has three different classes of plaintiffs - those who donated to the DNC, those who donated to the Bernie Sanders campaign and all members of the Democratic Party. Donors made contributions to the DNC and the Bernie Sanders campaign with the understanding that the presidential primaries would be conducted in a fair manner, and are seeking damages for being misled. 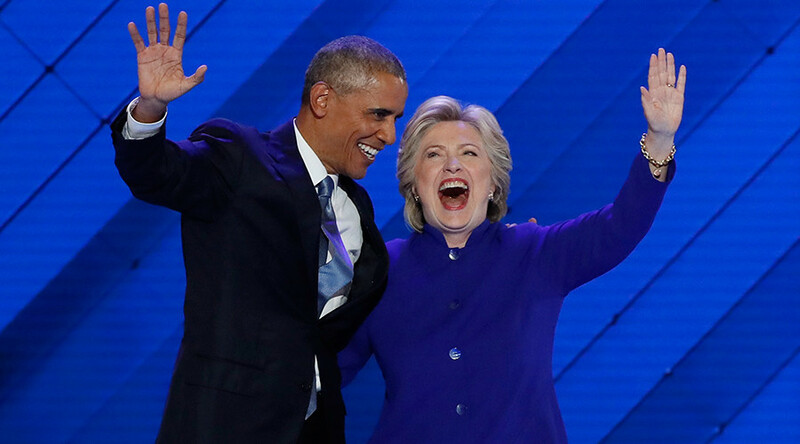 The DNC nominates and confirms the Democratic Party’s presidential nominee, after arranging the state caucuses and primaries which determine who is eligible. The DNC is governed by the Charter and Bylaws of the Democratic Party. The DNC chair should “exercise impartiality and evenhandedness as between the Presidential candidates and campaigns,” reads Article 5, Section 4 of the Charter. As reported by RT in January 2016, however, Wasserman Schultz was long accused of bias towards Hillary Clinton over Sanders. This was confirmed through the release of the DNC’s emails by Guccifer 2.0 and later WikiLeaks, which resulted in Wasserman Schultz forced resignation. A South Florida court presided over by U.S. Federal Judge William J. Zloch heard the defendants argue a Motion to Dismiss last week, which revealed a number of surprising arguments made by the DNC’s lawyers. The defendants’ lawyers also argued the suit is based on an “internal rule” which cannot be enforced, and that the term “impartial” can’t be defined. Wasn't surprised re: #DNCFraudLawsuit revelations as we #Berners suspected as much. Can't believe @DNC thinks it's appropriate b/c it isn't. “People paid money in reliance on the understanding that the primary elections for the Democratic nominee—nominating process in 2016 were fair and impartial,” the plaintiff’s lawyer Jared Beck said. “And that’s not just a bedrock assumption that we would assume just by virtue of the fact that we live in a democracy, and we assume that our elections are run in a fair and impartial manner." “So you are suggesting that this is just part of the business, so to speak, that it’s not unusual for, let’s say, the DNC, the RNC to take sides with respect to any particular candidate and to support that candidate over another?” Judge Zloch responded. DNC lawyers also appeared unsure of what the committee’s role is, with Spiva saying he wasn’t sure whether the DNC funded primaries. If the case isn’t dismissed, the suit will go to discovery stage, which would include depositions from Wasserman Schultz and others, before proceeding to trial. It is then that evidence from WikiLeaks, Guccifer and others will be presented.